Belgium midfielder Axel Witsel scored with a stunning bicycle kick on his Borussia Dortmund debut as the home side roared back with a 4-1 win against RB Leipzig in the Bundesliga despite conceding after just 31 seconds on Sunday. "It's a great honour to play here in front of all these fans - the atmosphere was amazing and they pushed us forward," a beaming Witsel said following his dream debut. 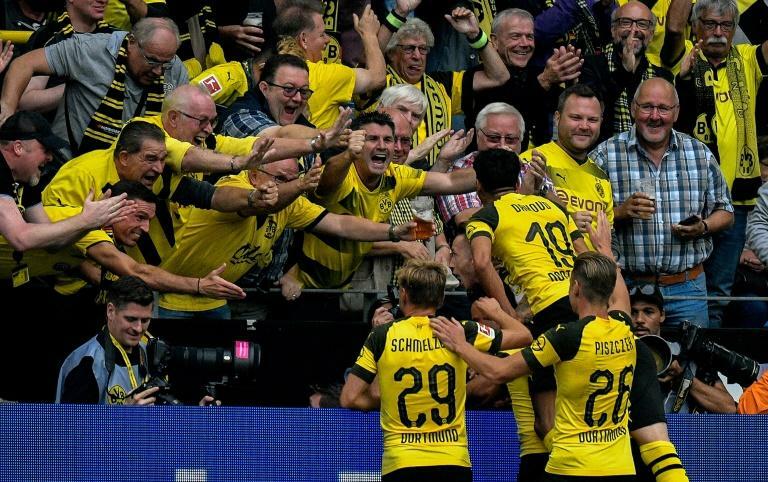 Dortmund scored four goals without replay in an impressive display to better Bayern Munich's 3-1 win over Hoffenheim on Friday on the opening weekend of the German league season. 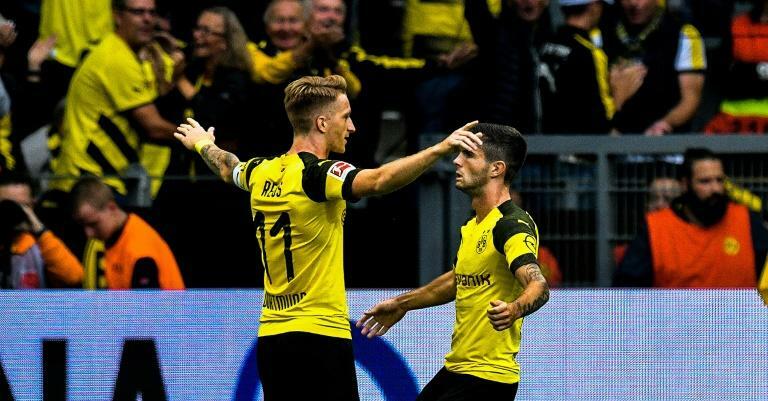 Despite the early setback, Dortmund dug deep under new head coach Lucien Favre and scored three goals in a dazzling first-half display. "Leipzig were better than us, especially at the start, they were faster, better in the challenges. That was dangerous, because we did not defend well, but we reacted. "We scored at the right moments, then the confidence came back, but there are many things to correct, many tactical things and a lot of details." The hosts drew level on 21 minutes when Syria-born midfielder Mahmoud Dahoud powered home a header. Dortmund's new captain Marco Reus then provided the second goal when his free-kick on 40 minutes was headed into his own net by Leipzig's Marcel Sabitzer. Witsel, who joined in a 20-million-euro ($22.9 million) transfer from Chinese side Tianjin Quanjian, made amends for his early blunder by scoring Dortmund's stunning third goal. When fellow new signing Thomas Delaney forced Leipzig goalkeeper Peter Gulacsi into a diving save, Witsel was on hand to athletically smash the ball into the net on 43 minutes to make it 3-1 at the break. Leipzig, who have now already played seven games this season including a goalless Europa League qualifier at Ukraine side Zorya Luhansk on Thursday, did not have the legs to fight their way back. "It's a weird feeling for us," said Leipzig coach Ralf Rangnick. "If you look at the scoreboard at half-time - I can't remember having seen such a distorted game in the last few years. "We lost the game from set-pieces and balls into the box, because of this, we weren't rewarded for the massive effort we put in. "The team looked fresh and were up for it, so I'm not worried at all." Reus sealed the convincing win when Dortmund's 18-year-old junior England international Jandon Sancho came off the bench and provided the final pass for the Borussia skipper to roll into the net on 90 minutes. "We showed spirit and character, but had a bit of luck, too," said Reus. "The win is incredibly important and gives us confidence." Earlier, Anthony Ujah came off the bench to score Mainz's late winner in a 1-0 victory over Stuttgart. Nigeria striker Ujah, 27, was sent on in the 66th minute and grabbed the winner ten minutes later after a mistake by Stuttgart's ex-Germany defender Holger Badstuber.